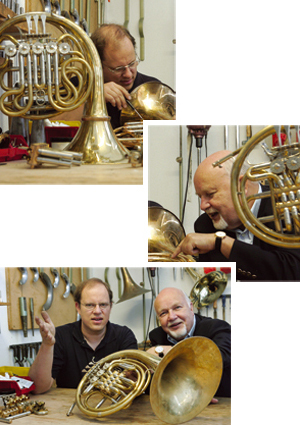 Christopher Cornford has developed in cooperation with Peter Steidle, formerly horn player in the Radio Symphony Orchestra Franfurt, a new double compensated tripel horn, which is marketed under the name, Mod. 3 S. Characteristic of this horn is that it only weights only 2250 grams, therefore being lighter than usual double horns. 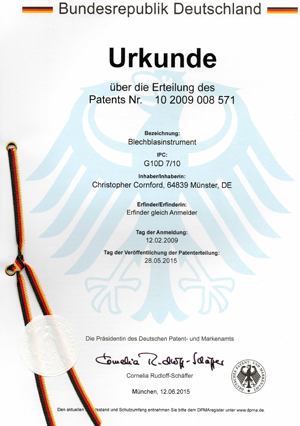 In 2015 on the 28th of May we get the Patent for the technical noveltys by the development of the triple horn, with the Patent Number 10 2009 008 571 from the German Patent- and Trademark Office.